Hi, I’m Liz Wegerer, and I run my own company called Island Girl Writing. I help small- to medium-sized business owners and entrepreneurs with copywriting and social media marketing. I studied business administration in college, and of course the things I learned there have helped me throughout my entire career. Especially when it came time to start and manage my own companies, which I’ve done twice. After I completed my Bachelor’s Degree, I went to law school at Marquette University. After I graduated, I was a practicing attorney for almost a decade with a focus on litigation and family law. Eventually I burned out from all the conflict inherent in being a courtroom lawyer, so I “retired” in favor of a different career. I also wanted to start traveling around that time, so I needed something that would allow me flexibility. Which is how I came to be a freelance writer. Even though I don’t practice law anymore, the things I learned have helped me handle the administrative side of running my businesses. It is also helpful when I have to negotiate deals, review contracts and sort out those type of things. Or throw big words into a discussion to keep a difficult person on the other side in check. Or win an argument with my husband. I am an excellent writer and am also very good at building relationships with people. Obviously being a great writer helps sell my services, but even more important is the positive rapport I can easily develop with clients and peers. I’ve had a few career iterations throughout the past three decades, and along the way I’ve met several people who have greatly influenced my professional progress. None, however, have had the formal role of mentor. I will say that my professional growth has always accelerated more rapidly when I’ve had an influencer helping me out, so I definitely believe having a mentor (or at least someone in that role informally) is a great thing for anyone! When I was working as a lawyer, it would definitely have been the work-family balance. At the time, both my children were still quite young. It was often difficult to juggle billable hours with my role as a mom. In hindsight, I would have put less emphasis on the work part and more on quality time and being truly present, rather than always being distracted by work concerns. Unfortunately, you tend to learn this lesson too late. But as they say, hindsight is always 20/20. These days, my life as a writer is a very solo endeavor, aggravated by the fact that I live on a tiny island in the Southern Caribbean. It is challenging to maintain professional relationships with other business professionals, especially other people who do what I do. Well, I never really solved the work-life balance as a lawyer. I practiced almost all the way through my kids’ middle and high school years, getting out of law only when my youngest son was almost 17. These days, as a writer I rely heavily on technology to keep me in touch with peers and nurture professional relationships with those whose work I respect and admire. Without WhatsApp, I’d be lost! Great question. 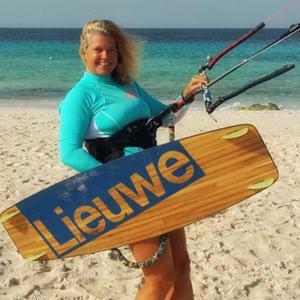 My passion is kitesurfing (which is why I live where I do, because we have steady wind almost all year long), so I try to get out on the water as often as possible. Unfortunately, it is a challenge some days due to deadlines and responsibilities. Still, I keep my gear in my truck, so I can sneak out on a moment’s notice for a quick session. I find that exercise of any type, especially immersed in nature, is the best way for me to keep all the different aspects of my life – small business owner, wife, friend, mom – aligned and in balance. I think the definition has changed for me over the decades. When I was younger, I never really felt like I was oppressed or unable to do anything I wanted to do in my career. I always felt like if I wanted to accomplish something, the only barrier standing in my way was my own ability and ambition. Obviously, that was a bit of naivety on my part. Working as a lawyer was a bit of a wake-up call, especially when I observed my female peers from law school hitting barriers that their male counterparts never came across. You know, like having children and being quietly taken off the partnership track. Or even balancing the whole work-life thing. My male law school peers never faced those issues. They simply offloaded those responsibilities to their wives, right? Observing the disparity really changed my perspective on exactly how empowered women actually were. And not in a good way. These days, to me the idea of being an empowered woman is about independence and self-reliance. Whether it is your job, your relationship status or whatever. For me, running my own business – scary as it can be sometimes – ensures that I call the shots and am not limited by someone else’s ideas or expectations. The sky’s the limit for my success and I define what success looks like, too. The fact that I have the freedom to make such decisions – and readily have made them – is the essence of empowerment. At least for me. If you really, truly want something, follow your heart. The rest will sort itself out. Stop living your life according to someone else’s expectations, and definitely stop worrying about what other people think. I spent so much time being a people pleaser when I was younger, that I really lost sight of who I was for a very long time. It took a serious life reset to get to a place where I’m really happy with who I am. That reset came with a lot of costs (in every way), but it was worth it. I wish I had done it much sooner, actually. But the important thing is that I did it at all. Yay, me! I’m currently working on growing my Island Girl Writing business, so a lot of my energy is being devoted to marketing in that regard. This is one of my biggest goals for the immediate future. 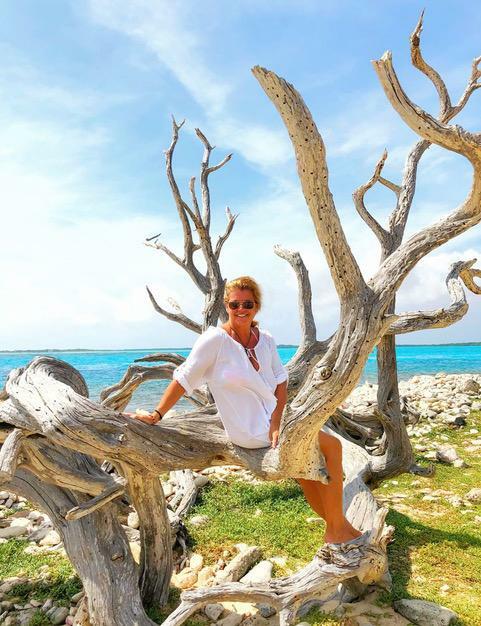 I also have a separate project, The Adventures of Island Girl, which is my personal blog about changing one’s life after 40 and following your heart. That is also in a growth stage and building a following is another of the big goals I’ve set for myself in the coming months. 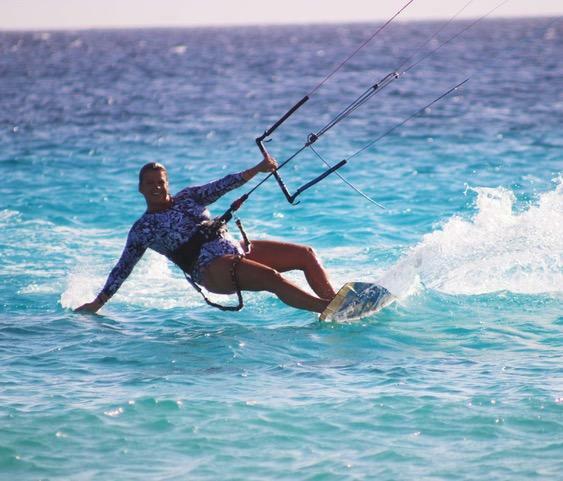 Building both these concepts is taking up most of my time, so one other goal is to definitely make time to get out on the water for some soul-soothing kiteboarding sessions. Luckily, my gear is always in my truck, ready to go at the drop of a hat!